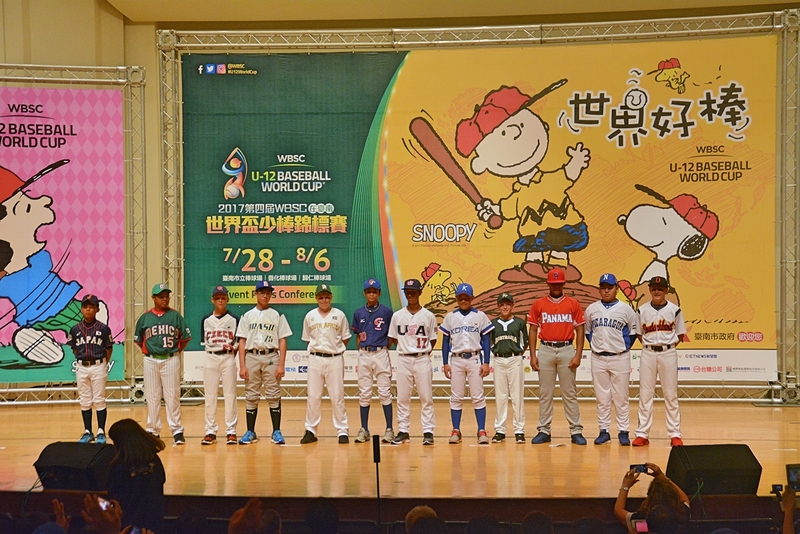 Tainan July 27, 2017　- Everything was as impressive as it gets, starting from the Hymn to Joy by Beethoven, played by some students to open the presentation of the 2017 U-12 Baseball World Cup, that will take off on Friday 28 July in Tainan, Chinese Taipei. WBSC President Riccardo Fraccari was the first to address an emotional attendance: "Tainan is the youth baseball capital of the world. That's why the city is hosting this event for the second straight time". Fraccari than said he had been impressed by the project of a new baseball facility that Mayor Hsu Tain Tsair had shared with him the previous morning. The Mayor confirmed the commitment of the city to the game of baseball: "We want the young athletes to come here and feel at home. Remember: you are here to compete, but also to make friends". Than he joked: "The new trophy is worth US$ 25,000 and is pretty heavy. Why move it from Taiwan?". Fraccati and Hsu Tain Tsair were sitting in a front row filled with VIPs, including BFA (Baseball Federation of Asia) President Tom Pen and Chinese Taipei Baseball Association President Peng Chenghao. Day 1 of the tournament will see 6 games played: Mexico-South Africa, Czech Republic-Japan, USA-Australia, Panama-Corea, Nicaragua-Germany. 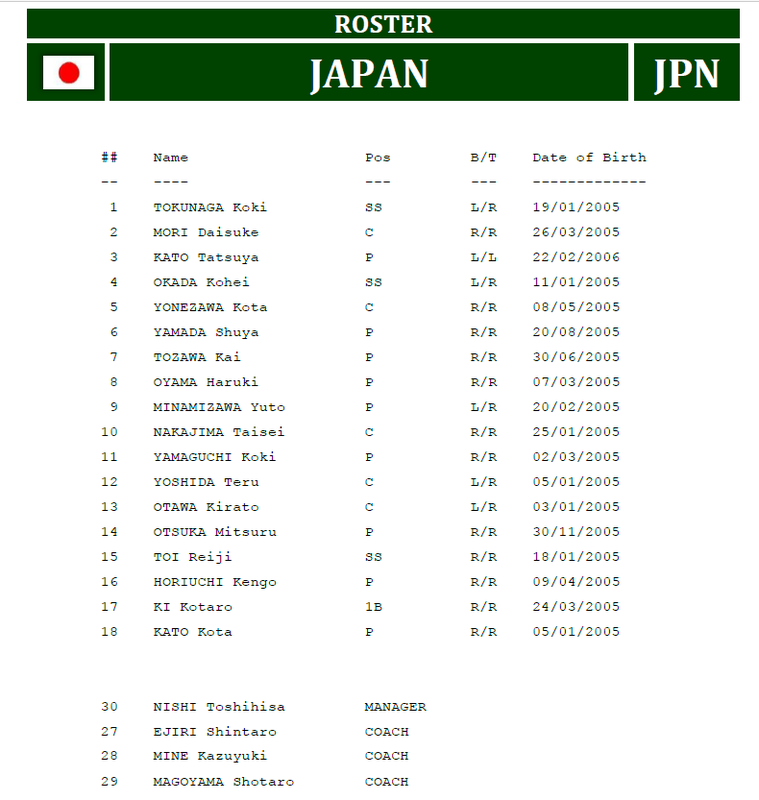 Chinese Taipei will host Brasil to end the day. First pitch is scheduled to happen at 6.30 pm local time, after the opening ceremony.